I had the motivation last night to decide I would make muffins for breakfast today. Probably due to the massive amounts of caffeine I drank before bed, bad idea. As a result, I didn't fall asleep until almost 3:00am. At least I had the foresight to measure all my dry ingredients out and have everything ready for this morning. 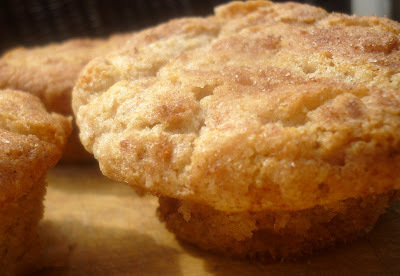 Snickerdoodles are one of my favorite cookies, and I thought it would be fun to make a muffin version that is dipped in a cinnamon sugar mixture. They turned out nice and moist, with the same crunchy, crackle effect on top that the cookies have. Pre-heat your oven to 500 degrees. Cream the butter and sugar together until soft. Add the vanilla and almond extracts. Add the eggs in one at a time, mixing after each one until incorporated. 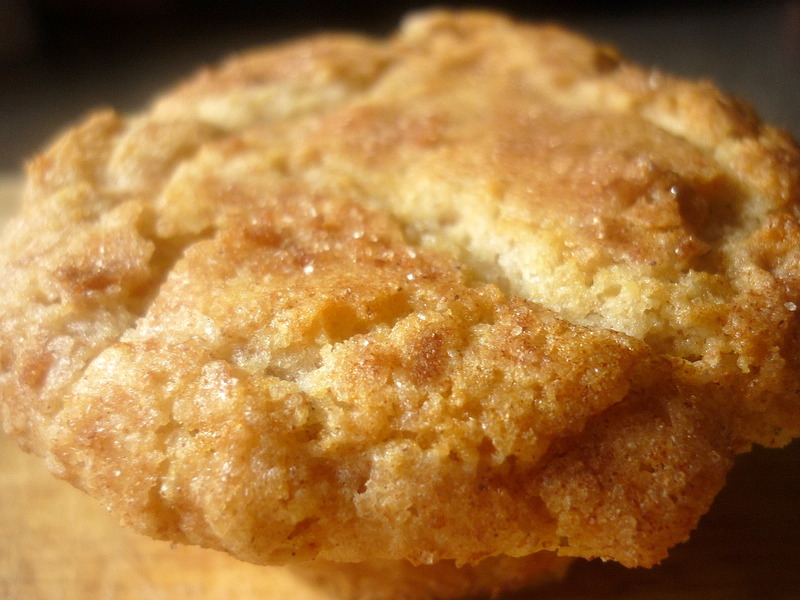 In a separate bowl, combine the flours, baking soda, baking powder, cream of tartar, and nutmeg. Add the dry ingredients and the buttermilk alternately to the butter mixture, starting with the flour and ending with the flour. Scrape the sides of the bowl occasionally. Using an ice cream scoop, scoop out the batter and drop in the cinnamon sugar mixture. Sprinkle the sugar all over the batter, then drop into a greased muffin pan. Lower your oven temperature to 375 degrees, and immediately bake the muffins for 18-20 mins, until the tops are golden. Muffins are done when a toothpick inserted into the center comes out clean. Do not over bake. Remove the pan and let the muffins cool in the pan for about 5 minutes. Carefully remove. Tip: When you put muffins in a very hot oven and immediately drop the temperature, you help create the high peaks that make them attractive. 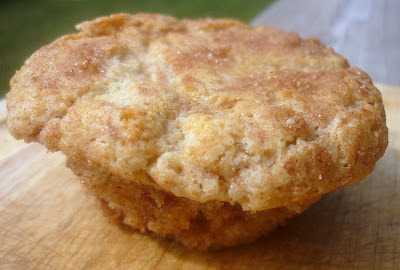 I love snickerdoodle cookies too, and these muffins look delish!